The Dockwa team loves getting out on the water just as much as our boaters, but taking a month away from the office to see the ICW first-hand was a little more than we could justify. 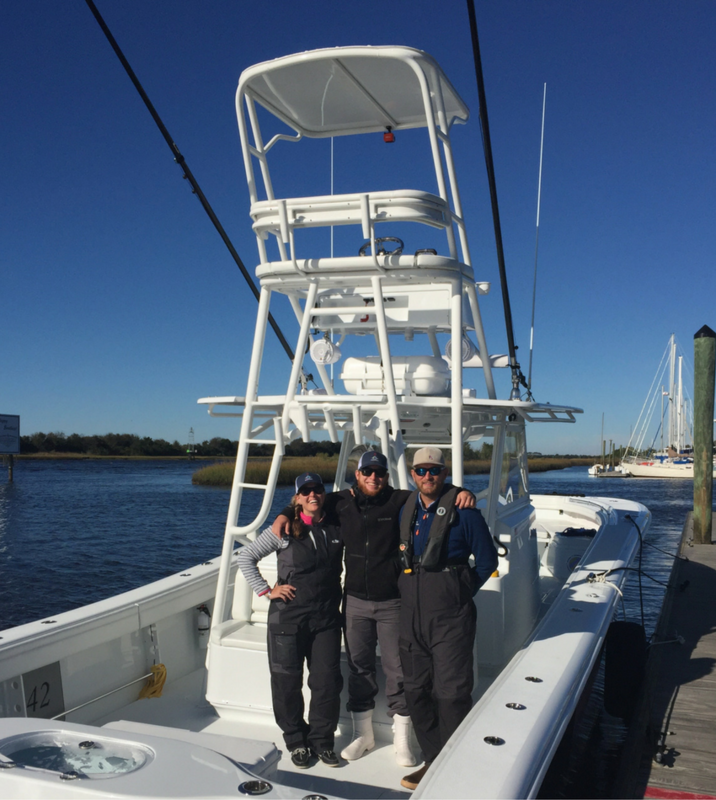 So when we got an invitation to send someone down the coast in just 6 days aboard a new Yellowfin, we jumped at the chance. The mission, should we choose to accept it: Make it down the coast as swiftly and efficiently as possible, stop in to say hello to a handful of Dockwa marina partners, and get a better perspective on what life's like in the fast lane of boating. 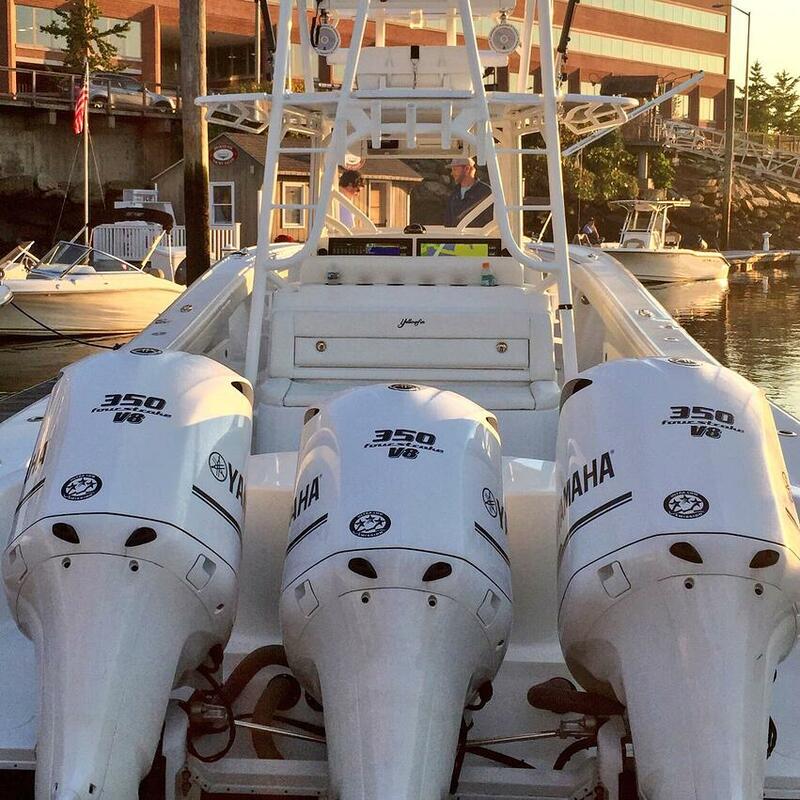 The boat in question: a Yellowfin 42' Offshore center console with three 350-horsepower engines strapped to the stern. The question every boater we met asked: How fast would we be going? The answer: 50MPH on open water, 45 inside, and <5 when we hit the damaged areas of the Intracoastal Waterway. The owners opted for the Marlin tower, forward seating, and a cutting-edge nav station, which included two Garmin 8600 touch screens. As for radar: a top-of-the-line GMR 2524 xHD2 Open Array Radar and Pedestal. The decision for the triple engine as opposed to a quadruple was made based both off the type of boating the owners predicted they'd be doing, as well as the location the boat would spend most of its time – apparently in the Bahamas, new engines can have a tendency to walk away if unattended, so they took the "less is more" route. If you haven’t had a chance to meet the fine team at Edgartown Harbor, I highly recommend you introduce yourself the next time you tie up on the Vineyard. Amongst the staff members there, you’ll find Will Schrade, Deputy Harbormaster, captain, life-long boater and sailor, and the capable leader of the delivery at hand. Tyler Sillman, also a reputable long-time player in New England's marine industry, joined us in Stamford. Tyler's a life-long sailor out of Vineyard Haven and has also put in some long summers on the Edgartown Harbor docks, and as a dockmaster on the Cape. Add to both of these resumes a few years in private boat management, and it's clear that these two captains have had quality time at the helm of just about every size, shape, and style of boat out there. As for myself, I grew up small-craft boating, got into sailing in 2005 with the Boston Sailing Center, and now race in Newport, Boston, Marblehead, and the Caribbean on everything from tech dinghies to a custom Kerr 55. Since I can tend to be sailing-biased, this delivery was not only a chance to see some of our marinas first-hand, but also a great opportunity to recalibrate my settings. ...finally landing in Coral Gables or Miami. Stay tuned for our recap of the first leg of the trip – subscribe below if you haven't already. Are you headed down the coast for the winter? 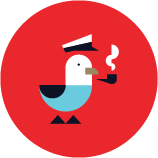 Give us a shout so we can follow along and compare notes – email becky@dockwa.com. Remember, if you see something, say something: report ICW conditions to your fellow boaters via our Hurricane Matthew Marina/Waterways Report.